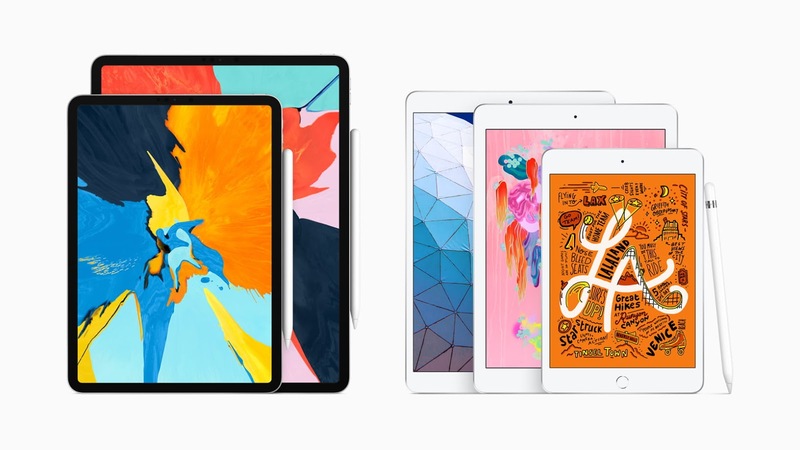 Apple has just introduced new 10.5-inch iPad Air with A12 bionic chip which brings 70% boost in performance and twice graphic capability. The new iPad comes with Apple Pencil support too. As we said above, iPad Air comes with A12 bionic chip which gives the iPad more performance and capability than others iPads. The A12 chip series also powers the latest iPhone XR and iPhone XS. 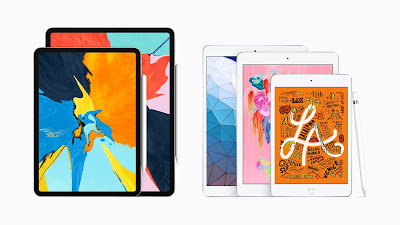 The new tablet weighs in at one pound (456 grams) and is just 6.1 mm thin, the same ultra-thin profile we saw on the previous iPad Air 2 model and the new iPad mini 5. The 30.2-watt-hour battery is rated at up to ten hours of surfing the web on Wi‑Fi, watching video or listening to music or up to 9 hours of Internet time when using cellular data network. 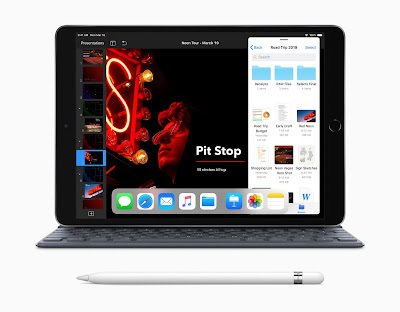 iPad continues to provide magical new experiences for a growing range of uses where it is the absolute best device, from playing games in augmented reality to note-taking and drawing with Apple Pencil, from streaming HD movies and editing 4K films to learning to develop apps with Swift Playgrounds.Today the iPad family takes two big leaps forward with an all-new 10.5-inch iPad Air that brings high-end size, features and performance at a breakthrough price, and a major upgrade to the 7.9-inch iPad mini, which also brings Apple Pencil, Retina display and the A12 Bionic chip to the many customers that love its compact size. The tablet supports Apple’s True Tone screen technology that automatically adjusts display brightness to match lighting conditions around you. This is also a wide color display (the DCI-P3 profile) capable of rendering HDR photos with redder reds and greener greens. The selfie camera has gone from the awful 1.2-megapixel shooter with 720p video capture on iPad Air 2 to an iPhone 7-like seven-megapixel sensor with 1080p video recording at 30 frames per second. The eight-megapixel rear camera features improved low-light sensitivity, 1080p video capture with stabilization, slo-mo video capture at 120 frames per second and more. iPad Air comes with a starting price at $499 and up to $649 (add $130 for cellular connectivity). The new iPad Air comes with Silver, Space Gray and Gold colors. Are you planning on buying one of these?